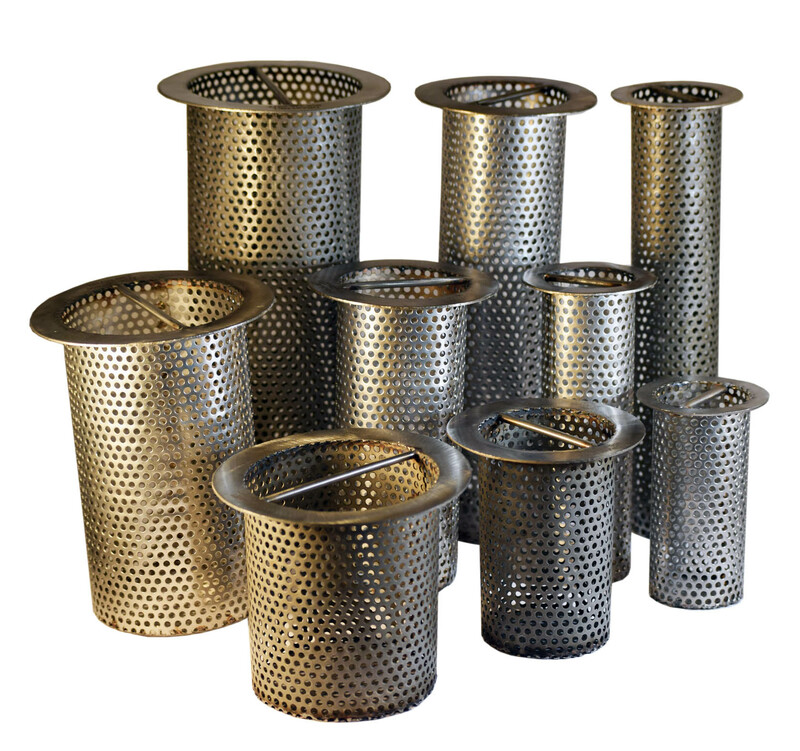 These drain strainers are made of durable stainless steel with perforations to provide the very best in drain straining capability and strength. These strainers are used in many meat processing plants and other industrial and commercial applications. It keeps food, debris, meat scraps, trash, and other debris out of your drains and out of your plumbing system. The smooth perforated stainless steel and bar handle on top allows for easy insertion and removal from floor drains. We also offer these in durable #10 mesh. Click here to view. Need a different size? Contact us today today about custom drain strainers! Had been looking for something like this for years. We are a large research University and have many diverse things going on. We had some drain baskets custom made by a local welder and they were below average to say the least and rather pricey. I thought these were to good to be true but the price was right and the quality we needed was present with these drain baskets. Prevent drain clogs and flooded floors in your restaurant or commercial kitchen with a Drain Strainer from Drain-Net. A floor drain strainer captures food and debris so that your pipes don't get clogged. This preventative plumbing solutions is the smart choice for drain line maintenance.